Last year, Dubai Walls launched by bringing big name international street art to our streets. At the time the local artist community was feeling a bit overlooked eager to get their hands on some prime locations around town. Now this week, they unveil new street art down at Box Park with artwork by UAE based artists Fathima Mohiuddin, Sya One, and Myneandyours. This is the first time local street artists have been engaged in Dubai walls and it’s great to have local representation on the project. How did that come about? There was a lot of talk after the City Walk project about how it had come about and about including locally based artists etc. And I think that discussion was a really positive thing because it got around. I got asked to a meeting one day with the team from Meraas and Dubai Walls to talk about the next phase of their project, i.e. this one. I was able to share a lot of my thoughts with them and to be honest they were pretty open to hear about how the first phase had gone down in the community. They liked my work. It took a while from that initial discussion to actually getting on site to paint, as it usually does, but I’m really glad it happened. Those are two of my favourite walls I’ve painted. The fact that they’re in one of my home cities is a big bonus and I’m really glad to be representing for the local scene. What is the meaning and inspiration for the Box Park artwork? My work is quite narrative-led. Telling stories of everyday sentiments, experiences, struggles and triumphs that we all experience. I think the world is becoming quickly dehumanised, impersonal and dishonest. I think its important to connect with our humanity and be honest about our struggles. Lately I tell these stories through birds and narratives between them. These particular birds are an eagle and a raven. I’ve been reading a lot of mythological tales delivered by bird characters. These two seem to feature often as representing two different sets of values. One is wise, rational and orderly. The other creative, chaotic and dark. I think we all struggle with finding the balance between order and chaos but we need both for momentum. So them facing each other is a way of coexisting and accepting those differences and the equally relevant value of both. What is your creative process like for such large spaces, and do you feel it brings a different element to your art when on this scale? I’ve started doing a lot more research about what I’m drawing when it’s intended for walls and public space. Especially where birds and mythology are concerned! So I’ll read, watch a few documentaries, listen to philosophers like Nietzsche and then just sketch and see what happens. That process is pretty organic and not very deliberate. There’ll be a point where I stop and look at it and realise I’m telling a story. A story I probably wanted to tell subconsciously that’s come from my own experiences, what I’ve been researching and it has some universal relevance. Then I’ll do a render on a photo of the actual wall to place it and figure out placement of colour and I’m ready to paint. I love working on scale. I love the impact of scale and the amount of physical movement involved in working on scale. It makes me feel impactful and alive. When it’s that big it feels like it’s not just about you anymore but about everyone who walks by and their own experience with it. I guess that’s the beauty of working in public space as well as scale. When it’s that big it shouts loud about how important art is to society. Do you experience a lot of interaction with the public whilst working on your street art? What are their reactions, and how do they differ in the UAE when compared to countries like the UK or Canada where you’ve worked before? My favourite part about painting walls is the story that goes with it because every one is unique (I do blogposts about them, this one will be up soon). Whether or not people stop to talk to you, you become really aware of the dynamics of the space you’re in. For example in the case of Box Park I got to know the security guards. What time people came to work and what time they took their breaks. Where most of them were from. I noticed the call to prayer and men heading to the mosque behind me every day. That’s a really lovely thing, to exist within this reality that has its own routine and system. Each one is different and there’s things you always remember. In this case the security guard who had a wife and child in Kenya brought me oranges because he could see I was struggling with the heat. Or the waiter who said he saw an elephant in the mural. Or the guys from the restaurant who brought me ice and drinks. People are kind when they see you working really hard and appreciate what you’re doing, I’ve noticed that with every wall. There was also the guy who told me my colour palette was flat and he didn’t like it. You kind of take that too because that’s all part of making art and encouraging honest individuality. The experience really depends on the environment you’re in. In Jersey City I was painting in a neighbourhood with loads of youth living very challenging lives. That was intense. I had a lot more conversations and it had a pretty big impact on me. In London people were more interested in where I was from because I was a woman from the Middle East and India painting up a ladder on Brick Lane. There was some relation there but at the same time they weren’t happy about the fumes and I had to paint between 11pm and 5am each night! But it’s always been positive. You learn things about yourself from those interactions and you’re humbled by the experiences of others. I’m always looking for universal messages and magic, the things that humble us and remind us of our common humanity. That’s what seems to happen in these encounters. It kind of breaks down hierarchies and puts everyone on the same playing field as unique individuals for a while. It’s not always positive, but it’s honest. It’s also about the journey you’re sharing with everyone else involved: the other two artists, Sya One and Myneandyours. Our little regroups and lunches and waves or moments of ‘It’s so hot out here!’. The curator Jo and her son Luca, Mathilda from Meraas, all the people sharing a mini mission over a few days to see a project through smoothly. With the right combination of people that’s very warm and encouraging and you feel like a little family. A big thank you to Fathima for giving us an interesting insight to her life as a street artist and the Box Park Dubai project. 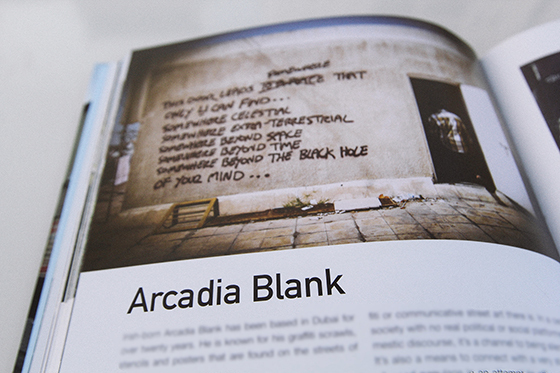 You’ve seen the local street art community grow and been an influential player in it’s story. What advice would you give to aspiring street artists? I think just, don’t wait for the opportunity or the confidence- be daring. I made a lot of excuses for a long time. Like: we don’t get cans here. We don’t have walls here. I’ll look like a ‘phonie’. If you’re into it, if you’re curious, find a way. It’s important to have a solid portfolio if you want to be taken seriously and you need to put a lot of time into building that whether it’s doing commercial projects to get you started or creating your own opportunities to paint walls. And remember what it is you love about painting out there - that’s important. We’ve seen several street art projects materialise across the UAE in the past year – why now? And what’s next? There’s been a lot of factors. Some would say it’s always been around, it’s only now that it’s visible and an actual wave of activity. Street art has become really trendy with corporates, brands and marketing strategies all over the world. Dubai’s such a commercial city that it caught on pretty quick and even though we’re always walking a fine line when we do these projects I think it’s been really positive in getting artists motivated (when the projects are carried out the right way). The commercial gigs I’ve had over the last 5 years have played a huge part in building my skills and ambition. A lot of of conversations about graffiti and street art came out of these projects like Tiger Translate and Red Bull Curates.It became more possible for artists to sustain themselves here as well which attracted more artists from overseas and the conversation got louder till it blew up last year when developers marketing departments caught on. I’m not sure what’s next but I’d like there to be consideration for substance. Street art can be so powerful if we remember to give it that significance and interaction with the community rather than make it purely a marketing stunt, so I hope the actual culture and awareness grows with the projects. What are your plans for the summer? Do you have any projects lined up? I leave this weekend for Australia! Im going to paint at ‘Wonderwalls’ in Adelaide thanks to Red Bull curates. Massively excited and a bit nervous which I usually get, standard. I get to paint what I want and I’ve got my piece read. And that brings us to the end of the insightful Q & A with Fathima - Big thanks to Fathima for taking the time to talk with us. 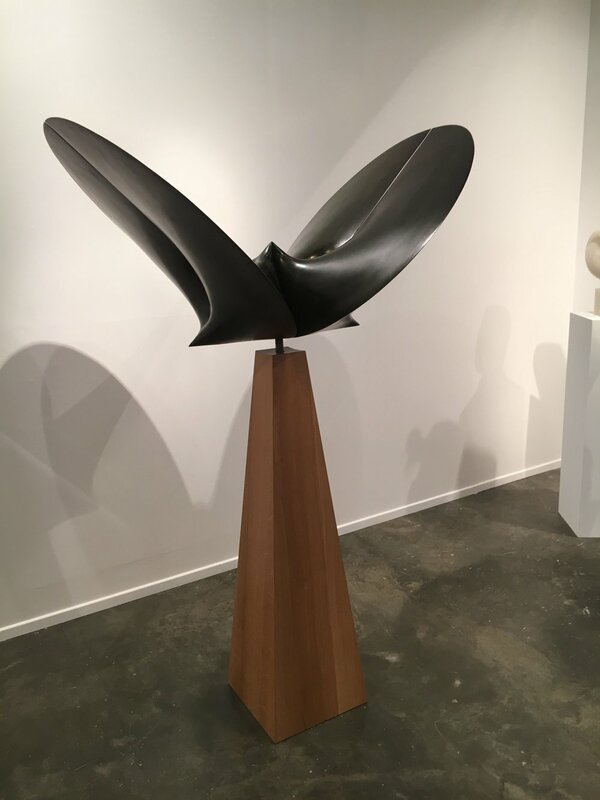 Last week, Dubai experienced another successful and eventful Art Week, which saw the international art world’s eyes turn to the emirate. Throughout the week there were exhibitions and events covering every angle of creativity from classic masters of art to interior design and social events for art enthusiasts. Each year Art Week in Dubai becomes bigger and better showcasing out of this world talent, art and projects. Capsule Arts’ team took to Art Week to check out some of the staple events that took place. Al Serkal Avenue is one of Dubai’s most creative neighborhoods and is always a must-see during Art Week. A variety of events take place throughout the year, not just for Art Week, including gallery nights, pop up projects, public talks and workshops. One highlight we caught last week was the incredible project Syria: Into the Light, a show featuring more than 60 works by Syrian masters and emerging artists, from the collection of the Atassi Foundation. This was launched at the beginning of Art Week and will be exhibiting until 3 April 2017. 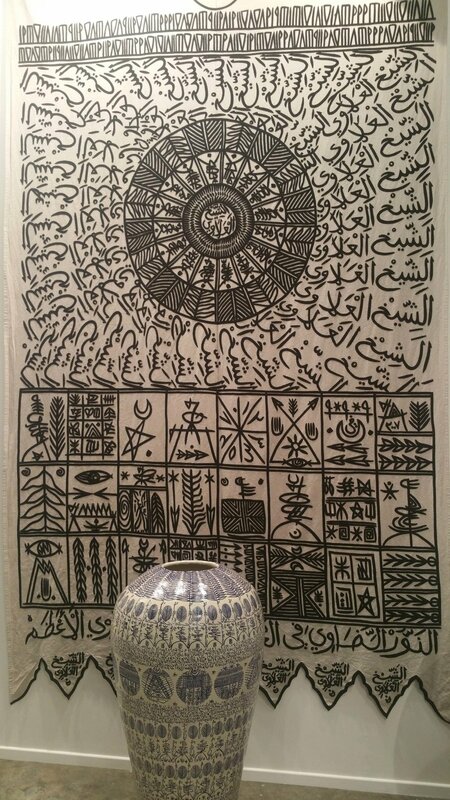 Below are some snaps from Capsule Art’s adventures last week at Al Serkal Avenue. 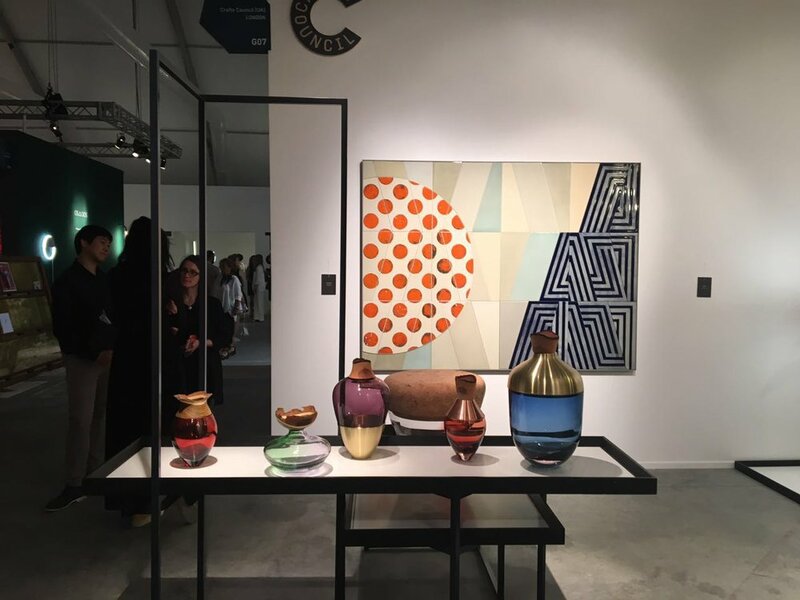 The 11th Season of Art Dubai took place at its usual setting of the Madinat Jumeirah Conference Centre, showcasing 94 worldwide galleries in contemporary art and art by masters from the Middle East, South Asia and African region. As always, the event was a thriving hub for art lovers, with something for everyone. 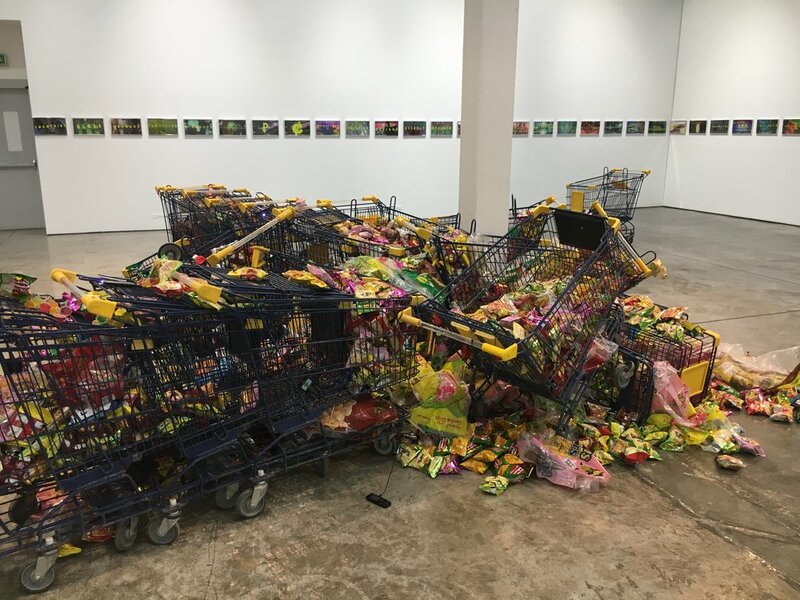 In addition to the fair, Art Dubai had multiple projects and supporting exhibitions on show, including a sparkling Piaget exhibition and the annual Abraaj Art Group Prize commissions. There was also a futuristic digital installation by Meraas Dubai displaying moving images of the art at City Walk Dubai, probably the most popular selfie hot spot at the fair. 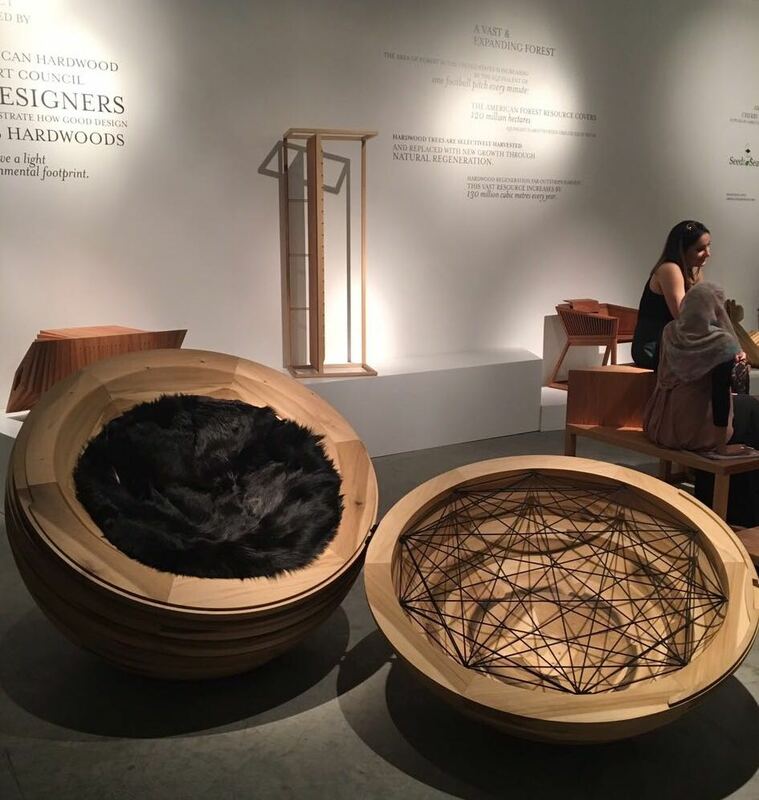 In its sixth edition, Design Days Dubai once again showcased contemporary and innovative furniture and design objects. The fair served as an interesting window into new trends in the luxury design industry and offered a snapshot of where the future of interior design is heading. This year the fair moved to its new home in Dubai Design District – D3, a move which felt like a natural step, continuing to add to Dubai’s growing hub of design. HIPA is a photography competition, which has been taking place annually during Dubai Art Week since 2011. It is held under the patronage of the Crown Prince Shaikh Hamdan, who is himself an avid photographer. The theme for the grand prize this year was ‘The Challenge’, with 3 additional sub-categories: digital manipulation, general and portfolio. This year’s venue for the winning photographs ceremony was the glamorous Dubai Opera Plaza. A beautiful performance of orchestral music was composed especially for the introduction of each competitive category. Shaikh Ahmad Bin Mohammad Bin Rashid Al Maktoum attended the event to do the honors of giving the grand prize winning award.